David Lynch is a fun public speaker in part because he is a unique storyteller. 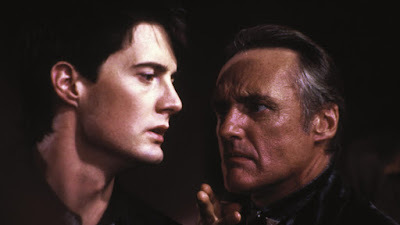 And nowhere is this more apparent than in this anecdote he shared once in public regarding his 7 year daily routine of eating at L.A.'s famous burger joint Bob's Big Boy, and how it led him to see a man who inspired the character of Frank Booth later in Blue Velvet (1986). 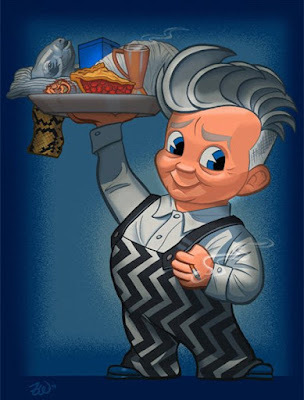 David Lynch has repeated his milkshake story pretty often at public speaking engagements, although this version of the tale includes three unique details he usually does not share. First, he discusses how he had to be careful at what time of day he would arrive at the diner, since the milkshake machine would make soupy shakes during high customer volumes at noon proper. Lynch discusses how he would try to balance out the coldest milkshakes he could get along with keeping his appetite at bay. 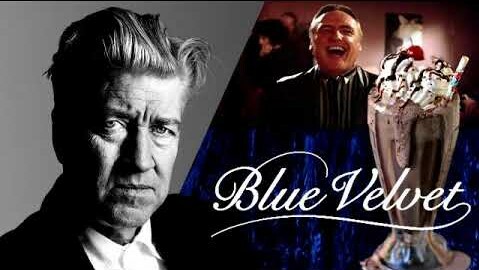 And second, the fact that a customer David Lynch observed at the famous L.A. diner served as his inspiration for the character origins of Frank Booth, who Dennis Hopper would exquisitely bring to life later in filming Blue Velvet (1986). John Waters was a very influential early figure in the film industry for David Lynch, for years insisting theater owners who ordered his film Pink Flamingos (1972) for midnight screenings would also have to order and exhibit prints of David Lynch's Eraserhead (1977), too. 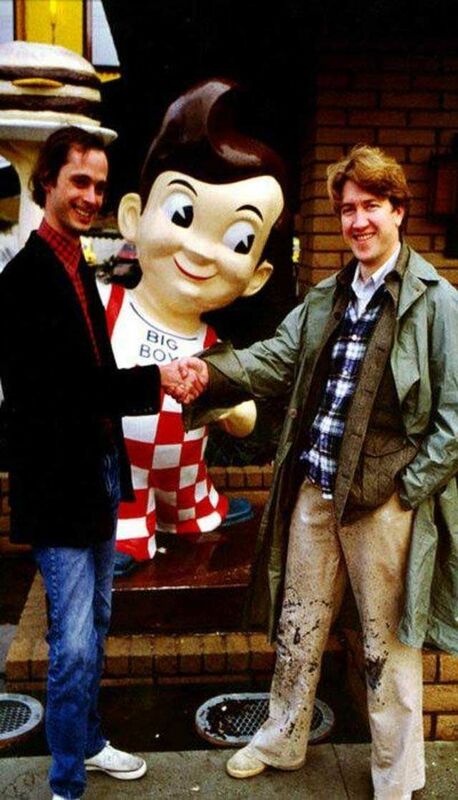 This boon early in David Lynch's career helped cement his reputation, which later expose him to the Hollywood in-crowd and ultimately help David Lynch land the directing job on Mel Brooks's production of The Elephant Man (1980). And it is very likely that David Lynch's unique creative working relationship with Bob's Big Boy also heavily influenced him in the development of Twin Peaks (1990-91) with his co-creator Mark Frost. The principal cast and characters of Twin Peaks would frequently meet and plan with each other at Norma's "RR" Diner. The diner has frequently symbolized old-school, traditional 50's and 60's America in Lynch's work, which is the director's favored era to reminisce about.